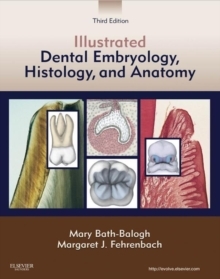 Featuring a full-color review of dental structures, Illustrated Dental Embryology, Histology, and Anatomy, 4th Edition, provides a complete look at the development, cellular makeup, and morphology of the teeth and associated structures. A clear, reader-friendly writing style makes it easy to understand both basic science and clinical applications, putting the material into the context of everyday dental practice. New to this edition are updates on caries risk, safe levels of fluoride use, and prevention of periodontal disease. Expert authors Margaret Fehrenbach and Tracy Popowics provide an essential background in oral biology for dental hygiene and dental assisting students, including excellent preparation for the board exams. Comprehensive coverage includes all the content needed for an introduction to the developmental, histological, and anatomical foundations of oral health. Hundreds of full-color anatomical illustrations and clinical and microscopic photographs accompany text descriptions of anatomy and biology. An approachable writing style covers the latest evidence-based information and makes it easy to grasp and learn to apply the material. 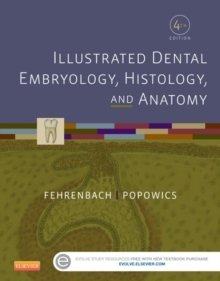 A logical organization separates the book into four units for easier understanding: (1) an introduction to dental structures, (2) dental embryology, (3) dental histology, and (4) dental anatomy. Key terms open each chapter, accompanied by phonetic pronunciations, and are highlighted within the text, and a glossary provides a quick and handy review and research tool. Clinical Considerations boxes relate abstract-seeming biological concepts to everyday clinical practice. Learning outcomes at the beginning of each chapter clearly identify the information you are expected to absorb. Summary tables and boxes provide quick, easy-to-read summaries of concepts and procedures and serve as useful review and study tools. Student resources on the Evolve companion website enhance learning with practice quizzes, samplecase studies, review questions, and interactive exercises. 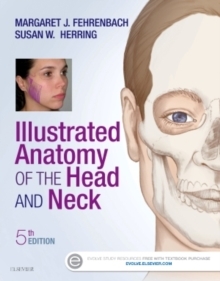 A student workbook offers a wealth of interactive exercises, including labeling/structure identification to master anatomy, word-search and crossword puzzles for vocabulary practice, detailed guidelines for tooth drawing, and illustrated case studies with follow-up questions; in the back of the book, 32 removable flashcards provide practice on identifying permanent teeth and their features and characteristics. Sold separately. A bibliography lists resource citations for further research and study. 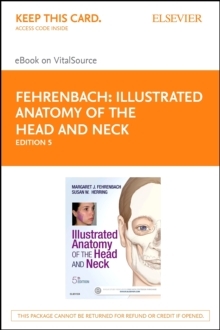 Expert author Margaret Fehrenbach is one of the most trusted names in dental hygiene education, and writes extensively, lectures widely, and consults for many of the major dental manufacturers and supply companies. NEW! Updated coverage includes the newest evidence-based information on orofacial embryology, especially enamel formation; orofacial histology including fibroblasts, microplicae, keratin, collagen proteins, aging, repair, 3-D tissue engineering, mucoperiosteum, dental pulp stem cells, and platelet-rich plasma; root anatomy; and the latest guidelines on dental biofilm, fluoride use, smile design, periodontal procedures, endoscopy, saliva testing, enamel remineralization, periimplant disease, myofunctional therapy, and orthodontic therapy intervention. NEW color illustrations, photomicrographs, and diagrams add detail and help to build comprehension. NEW co-author Tracy Popowics, PhD, provides research and expertise related to advanced dental content.